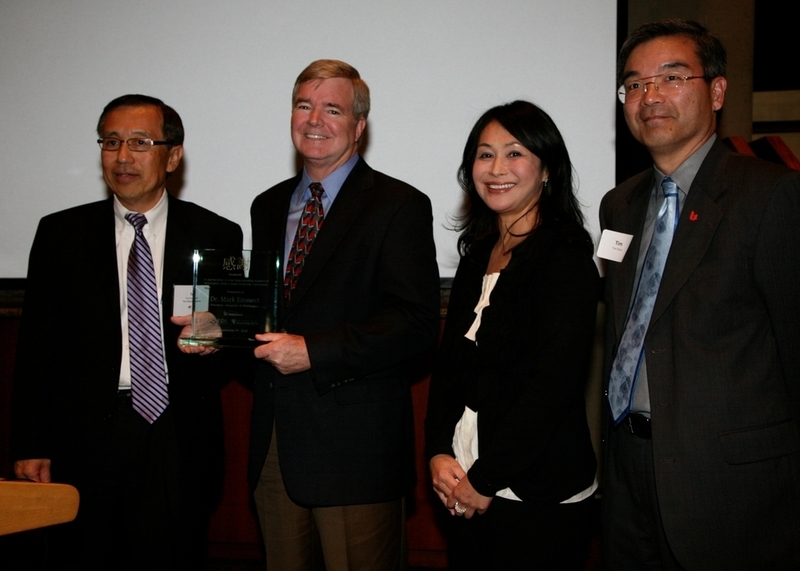 In memory of Ted (1949-2013), who left a legacy behind with EDI. It was with Ted’s vision, passion and energy for developing API leaders and advancing them into positions of influence led to the start of EDI in 1994. Now 20+ years strong, EDI has grown so much – with more than 900 alums impacting and shaping our businesses and communities. This is all because of you, Ted. You have left a legacy that will be carried on through all of our alums and future participants. You are already missed. I’m sitting here at my desk, finding myself truly at a loss for words, which is pretty odd because I almost always have something to say. Even about those matters that I don’t know much about. Al has asked me to write an article about Ted and how much he meant to our EDI family. And for some reason, I’m having such a tough time of it. If I were a therapist, I’d say that it might be because to write it would mean finally coming to terms with Ted’s passing. In any case, I decided to take a different tack. You know how so often when we lose someone we love, we find ourselves wishing we could have one more chance to talk with them. Just one more face-to-face meeting or phone call . Or even an email or a text. If I could just have one more chance to tell them how important they were to me and how I wouldn’t be the person I am today if not for having known them. And so it is with me, as I think back on my twenty year friendship with Ted Yamamura. So I’ve decided, that rather than an article, I would write a letter. I would write a letter to Ted, with the hope that at some level, he’ll get it. Brandon and Peter, if you’re reading this, I hope it gives you some added insight as to the kind of person your Dad was, and the amazing force and inspiration that he provided for me and so many others. Remember that day you approached me to talk about developing a training program of some kind that would help Japanese American professionals move up the corporate ladder? I could see the conviction in your face and hear it in your voice. But honestly, back then, I had zero appreciation for what you were talking about. I have no idea what the expression on my face was telling you, but what I was thinking was, “Please, please, let me have the strength to say no”. That’s what I was thinking. What I heard me say was, “Sure.” What I didn’t realize was that one word would change the course of my life forever. You, would change the course of my life … forever. That’s the effect you had on so many of us. I had no idea, that would be the beginning of a twenty-year (and still going!) endeavor, that would expand to embrace and touch the lives of nearly 700 participants that would eventually include all Asian groups, Pacific Islanders and Hispanics. I remember during one of our last phone calls you said, “Wow! Who would have thought that EDI would still be around 20 years later?” Yeah, who would have thought? I certainly didn’t. My plan was to help with just the first year and then get out! But an interesting and totally unexpected thing happened. With you as my role model and inspiration, much to my surprise, I found myself wanting to do more to help sustain EDI. I saw how much you believed in the need for this program and how passionate you were about keeping it going. In those early years, you were the chief instigator, the provocateur, the head cheerleader, and the inspiration who kept fueling our classes by filling it with Asian engineers from Boeing. To this day, because of your early efforts, Boeing continues to be one of our biggest and best supporters. You made that happen, all those years ago. What I didn’t realize was that your commitment to help advance the careers of Asian Americans was so strong, you were also doing those very same things for several other groups of Asian professionals. And Ted, you didn’t just touch our lives, you shook us up, and made us take a good and honest look at how far we had to go to have decent representation in the upper corporate ranks, and you motivated us to do something about it. And more than anything, you led us all through your own example. Because of you, the most fulfilling speaking and training that I do today is with EDI. When I’m working, I’m never happier than when I’m standing before an EDI class or at one of our events. So although I started out cursing you for talking me into something that was taking up huge amounts of my time, today I feel so grateful for your influence. Over the last couple of years, there were other things you would say to me almost every time we spoke. Things like, “If there’s something you want to do, don’t wait, do it now”, or, “You’ve got to make time for those things that make you happy.” But the thing that touched me the most, and perhaps the biggest lesson I got from you was, if you make time for anything, make time for the people you love most in the world. And if you truly love them, tell them. Don’t wait. We will miss you so much, Ted. I will miss you. But your EDI family is here to carry on your legacy. 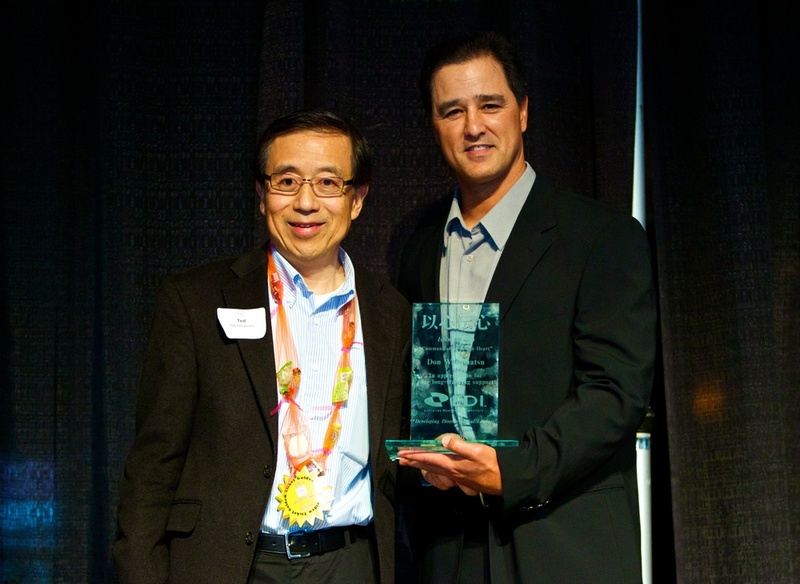 And this year, at our 20th year anniversary and graduation dinner, we will once again be awarding the “Ted Yamamura Leadership Excellence Award”. And when we do, we know you will be with us in spirit, smiling with pride. We love you Ted!